Lieutenant Rankin began his law enforcement career in 1993 with the City of Concord Police Department. In 2010 Lieutenant Rankin joined the Cabarrus County Sheriff's Office. 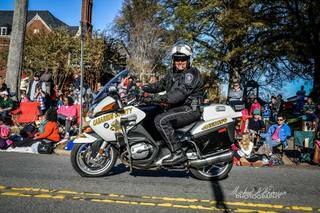 In 2013 Lieutenant Rankin joined the Cabarrus County Sheriff's Office Motor Unit. Lieutenant Rankin is currently assigned to A-Squad patrol as their supervisor. Lieutenant Rankin completed the 80 hour NC State Highway Patrol Basic Police Motor Officer School in 2014.